Despite all the controversy with disc and doping, the early season racing has been incredible. 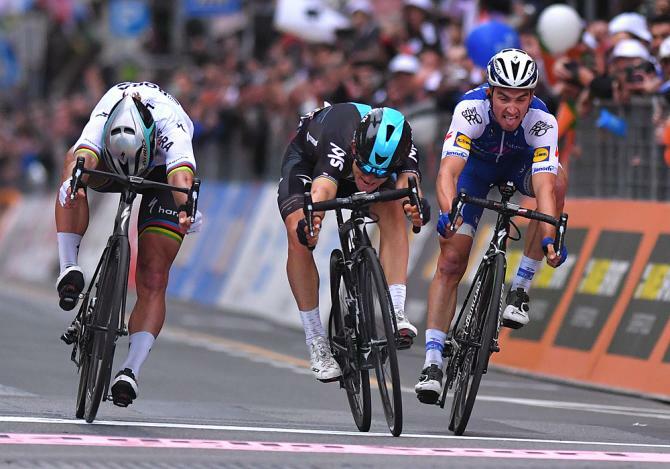 And, at Milan San Remo you can’t get more of a photo finish than with Sagan leading out and losing to Kwiatkowski. The finish was a Spesh sandwich with a Pinarello filling. My fav tweet is, “K-watt you goddam weasel.” See this rest in this Twitter moment. Peter’s wild bike throw was clearly as much bike as one can possibly throw and still stay up; albeit barely. Skillz. Now that’s a show with a bike throw.